This body shaper is designed to truly reshape your lower body. It allows you to redistribute some of your irregularities to a more desirable area. This redistribution becomes more permanent over time. 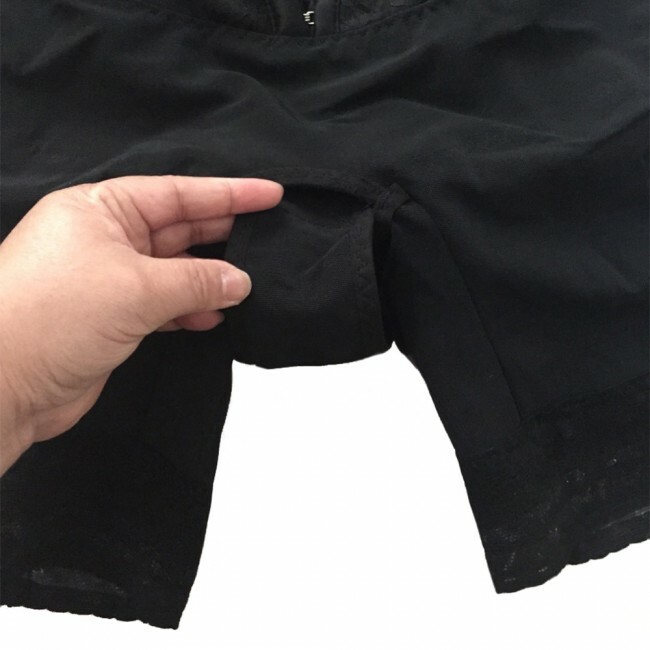 And it reduces your waist up to 3 sizes. 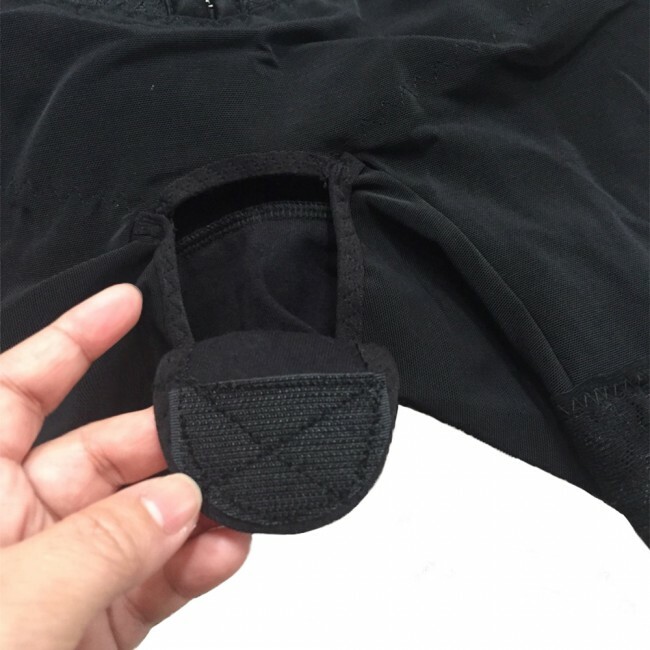 The Manufacturer recently modified this style crotch area (between legs) to have hook-and-loop fastener instead of the original design with snaps (hook and eye).